When moving to São Paulo of course you want to know where to find cool stuff in this gigantic, 11 million-inhabitants, city. After doing some research in the web in my first few weeks I found a catchy, creative, art-inspired Instagram- and Facebook-account called „cool sampa“. „sampa“? I had heard this word before and always wondered what it actually meant when I was new in the city and my Portuguese still very weak or almost non-existent… Observing the content of „cool sampa“ I figured that „sampa“ is an affectionate abbreviation for „Sao Paulo“. 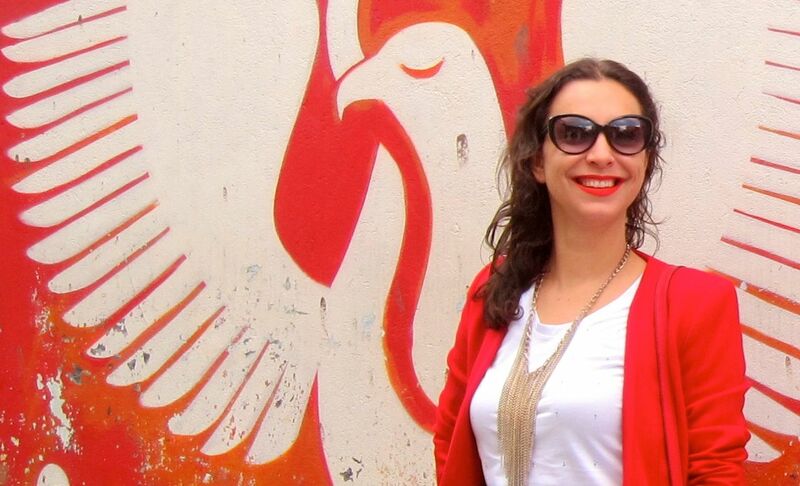 Dani Ruano is the creator of „cool sampa“. To interview her, I picked her up in a shopping-/artistic gallery in Rua Augusta where she held a presentation about the city’s street art and street fashion, and about the interdependency of both as well as of other factors. Unfortunately I didn’t attend her presentation. But on the other hand, she dedicated her whole afternoon to personally present her Sampa to me – thanks so much for that, Dani! What I wanted to be an interview, ended up to be a passionate conversation about how São Paulo developed into a „cool sampa“. 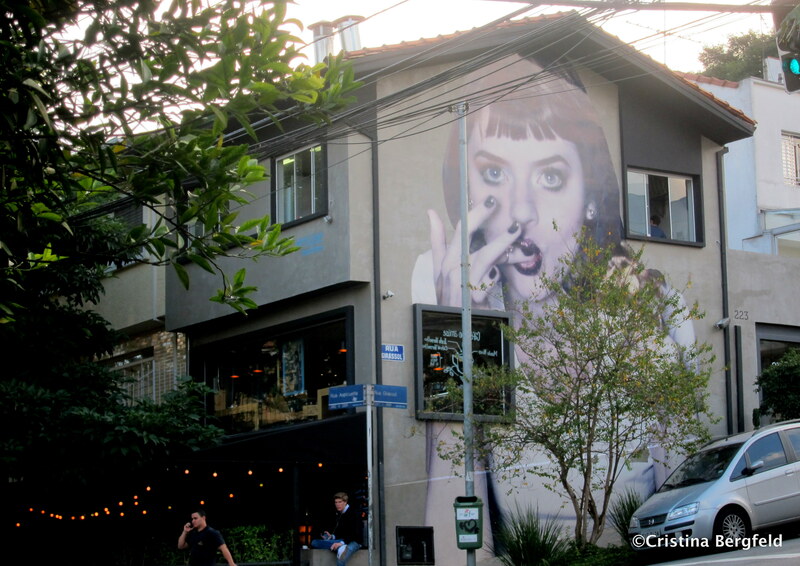 She took me from the chique neighborhood „Jardims“ to the bohemian one called „Vila Madalena“. (loyal readers maybe recognize the name as I was calling it Vila „Madness“ during the World Cup). 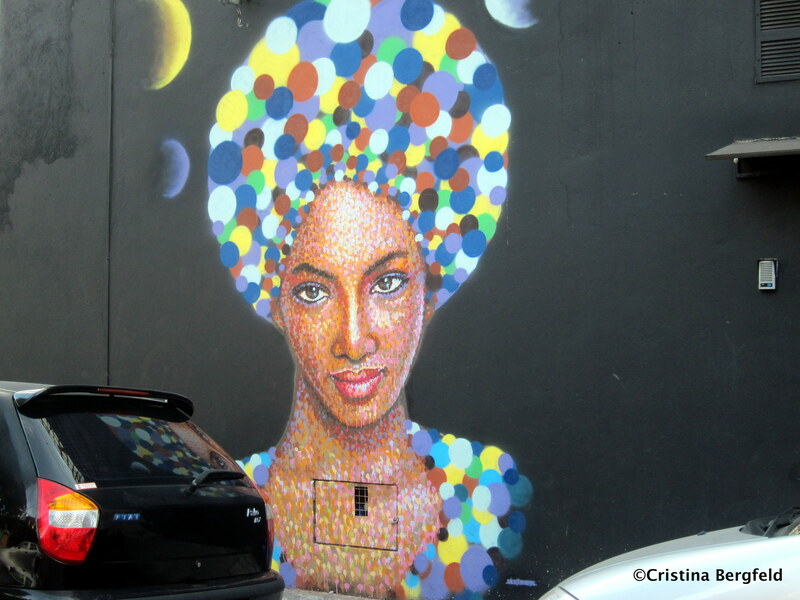 Even though there are many other parts of „Sampa“ where to see cool things, in her opinion it was very important to show me all the graffiti there, especially in “Beco do Batman”, the main graffiti street in Vila Madalena. All Rigts reserved @Cristina Bergfeld 2014. We started having lunch at a restaurant called „Amüse“. It’s actually a food store where you can buy organic food you can offer at home, or you go downstairs and enjoy the food in their little restaurant with friends or with colleagues. I was impressed by the style of location. Their website might give you an impression of what I mean. Amüse – All Rights Reserved. Copyright 2014. Cristina Bergfeld. We talked about what inspired her to create this „cool sampa“-account that meanwhile has over 5.000 followers on Instagram. 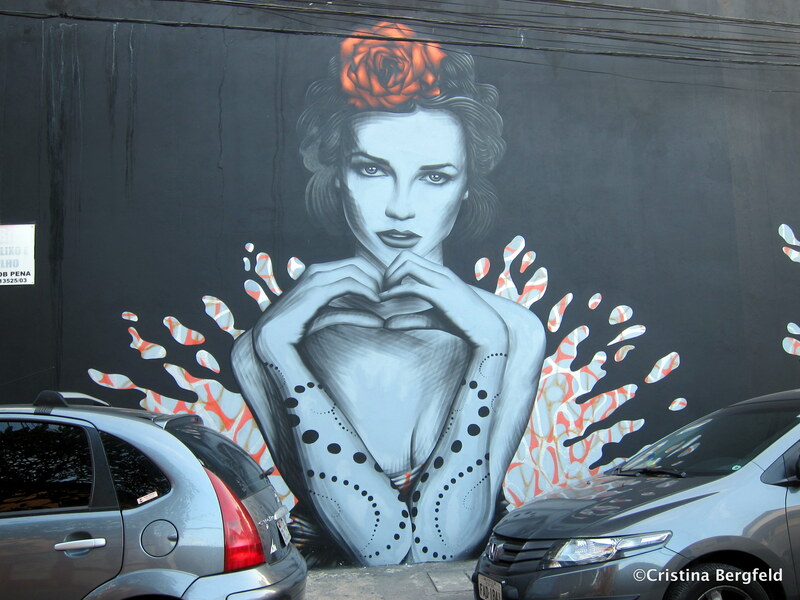 The reason she started it was because she didn’t want to believe that São Paulo doesn’t offer cool street art as she has seen in New York or London while living there. She tells me how she was shocked coming back after 5 years living abroad and seeing that apparently São Paulo hadn’t changed at all. The city looked the same, people were behaving the same… it was totally uninspiring for her. Especially being a fashion stylist. Not giving up she decided to get out there more, to discover and of course taking pictures of things that were unusual. In a city like São Paulo getting around is very complicated though. Public transport is very unreliable and traffic unbelievably chaotic. (Even people who have lived in countries like Lebanon, India, etc, found themselves very frustrated by São Paulo’s traffic. Just to give you an idea.). 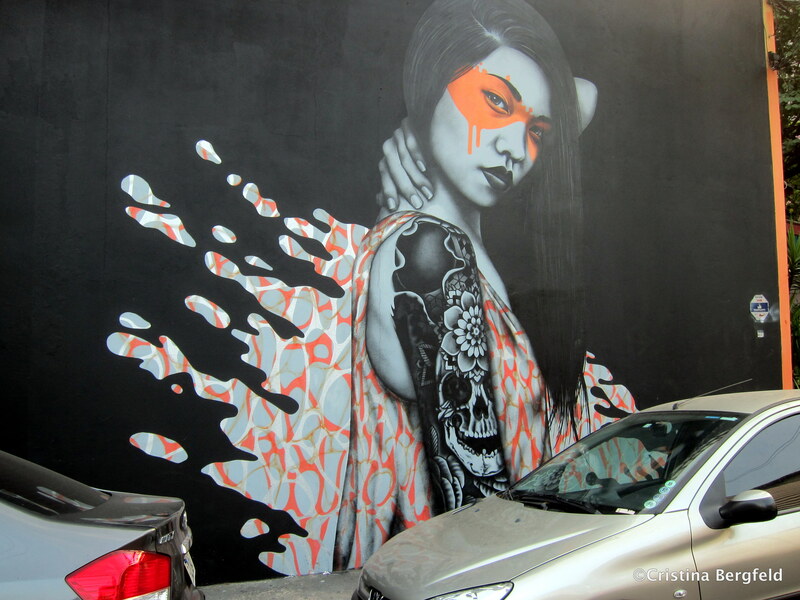 This being kind of an obstacle for properly discovering street art she got rid of her car and even used buses and taxis less. Instead she stopped being lazy (as she described the use of cars and public transport herself) and walked from one neighborhood to another. In the end it somehow payed off for her. Instead of getting lazy by „netonography“, as she calls the trend research done only in the worldwide web, she went out there where the authentic arts and styles were actually happening. „ethnography“, she calls it, as in real life research, is more her thing. 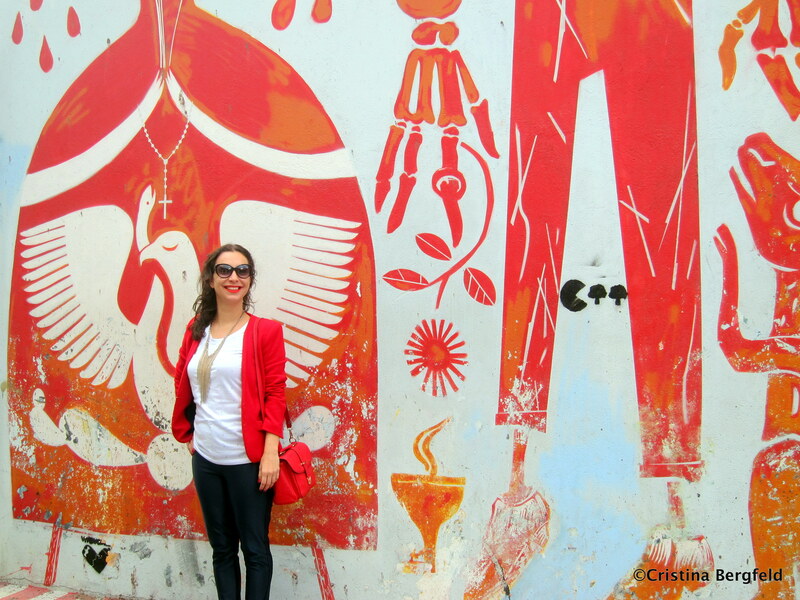 After our lunch at „Amüse“ she took me for a walk through the graffiti-designed streets of Vila Madalena. Dani Ruano, fashion stylist and the founder of “cool sampa”. Dani Ruano, fashion stylist and the founder of “cool sampa”. 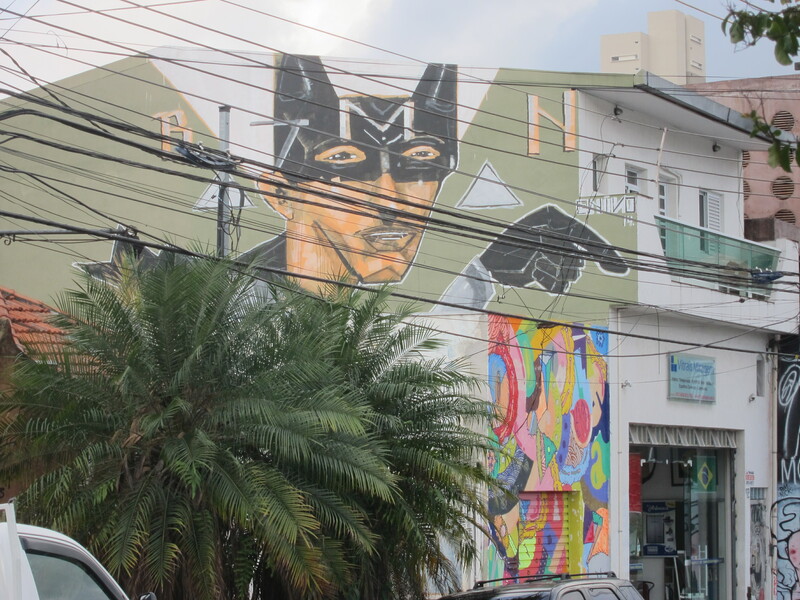 Here at Beco do Batman. Her knowledge of the graffitis and their artists is pretty much impressive. I was shown the different styles of graffiti and told about their different attitudes. She immediately recognized which one was made by whom and which one was new. Discovering the new ones, she tells me about the fights between the graffiti artists when new designs appear. Some of them claim the walls as theirs. This of course being just a designer’s vanity. In Dani’s opinion it is even important to let new images done on the walls, because art should be able to change. “This process of change correlates with social change. Patterns and images on the wall reflect the places’ and peoples’ character”… (just think of all the graffiti that came up during the World Cup criticizing FIFA). There are different styles of graffiti. 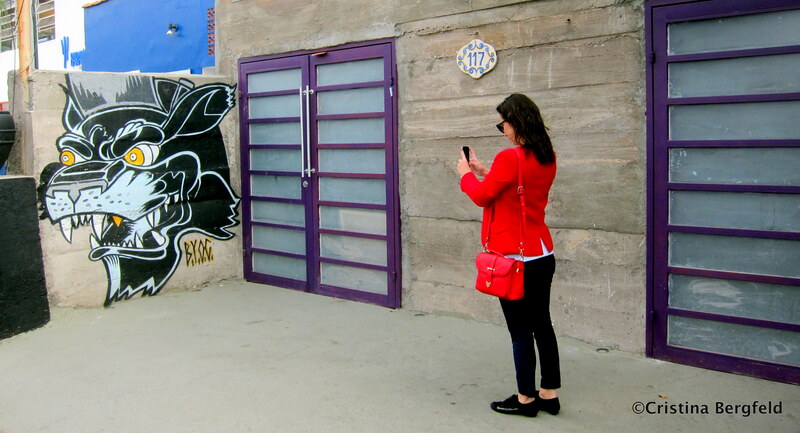 One of them is “Pixaçao” – those are wall writings. Doesn’t sound very spectacular, does it? It started in the 40s and 50s as political slogans, then just as marking territories by writing their names or names of their crew. But the most impressive side about it is that those artists are in a crazy competition. Putting their wall writings on buildings, they compete on who puts them higher and on the most inaccessible places! For that they would use free climbing techniques… I can only imagine that every now and then a few accidents happened. Of course our „cool sampa“ is not only represented by Vila Madalena. 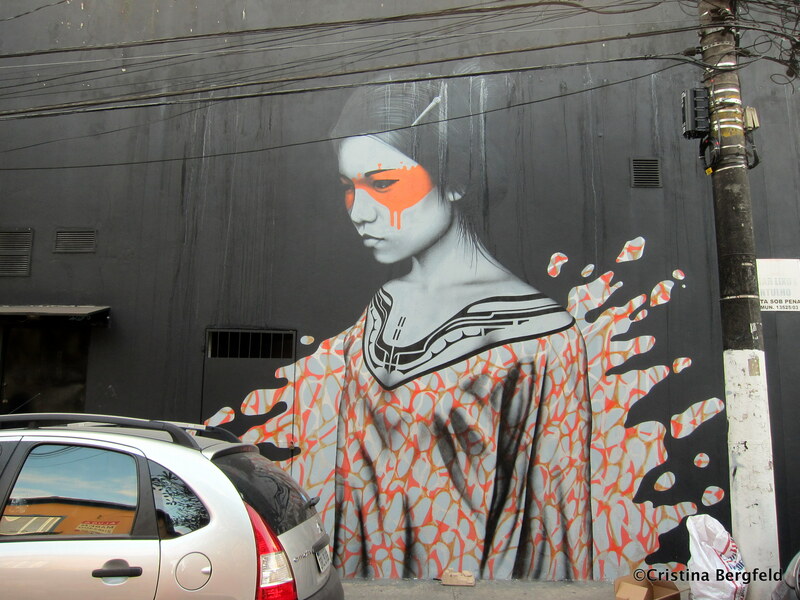 Many neighborhoods like „Liberdade“, which is the Japanese one, or the North of Sao Paulo are developing into a more and more artsy place in their own way. We didn’t have the time to do all parts of the city in one afternoon, but this is what the “cool sampa”-platform is there for! The idea of „Cool Sampa“ started in 2011, but Dani didn’t launch it until 2012. The concept is simple. Cool Sampa is not a company or a tourist guide. It is about finding cool places, events, designs, styles, etc. of Sao Paulo. It’s about getting inspired, collecting and sharing the things you see through social media channels, and by doing this inspire other people to have another point of view of Sao Paulo. As a side effect this might also make people exploring the city more, getting around with opened eyes and share what they find. In fact, it started kind of a movement. On Paulistano profiles in Facebook and Instagram more and more people share their discoveries and even mostly report them to Dani! So this is how „Cool Sampa“ works: “sharing, making the hashtag „organic“.” says Dani. I’m so happy to have met Dani and to get to know the city better through her!! Without that I’m not sure if I enjoyed the city this much! Reblogged this on Milchlächeln To Go.